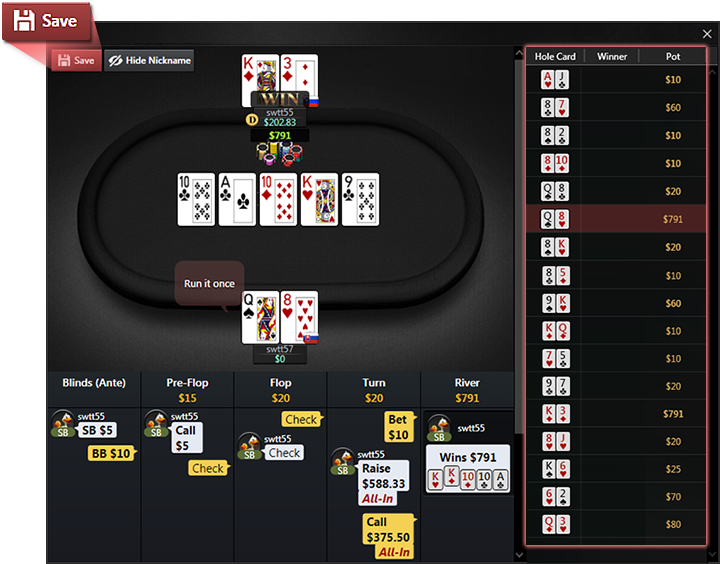 Take a look at the images below to learn about PokerCraft’s powerful and easy-to-use features. Get all the information about your experience in one glance, and leave posts you wish to remember and share with your friends! Your Timeline is your default page, and you can revisit by selecting the Timeline tab. View all of your recent posts in one glance. You can create new posts and filter to choose what to see. Star items you wish to revisit. Share items with your friends. 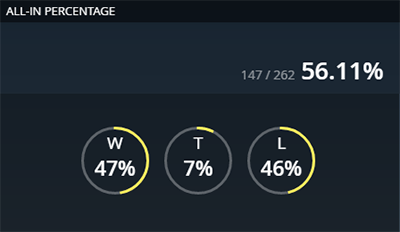 Each tab displays cumulative statistics for your game history in the respective game type including your Play Style, Luck, and more. 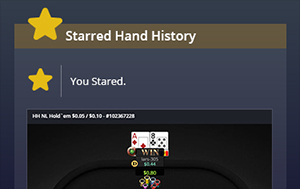 The Game History tab allows you to view details about every hand in the game session you select to view. 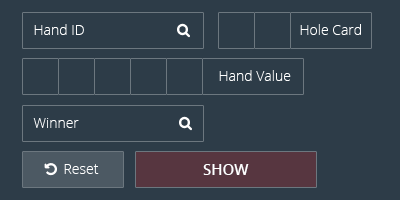 You will be able to analyze or export any hand as a Hand Moment to share on social media. 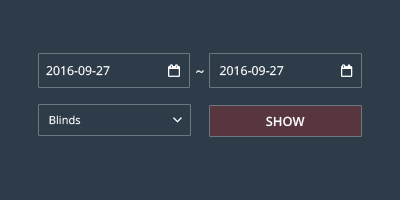 Filter your session history by date and/or stakes to generate a list of games for filtering and review. 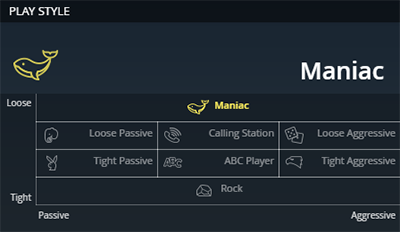 The list of available views and features that you can select to analyse your game data. Filter your results to make your search easier. 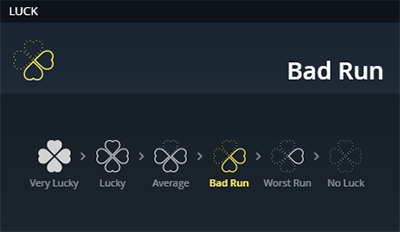 The Win/Loss tab displays your profit and loss over time while the graph shows the expected value of the hands you’ve played. 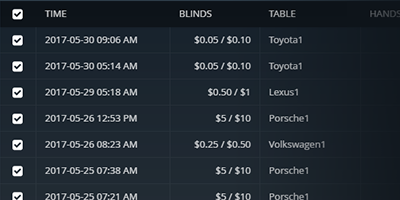 The red line displays your actual profit and loss while the EV line shows the statistical value over the same range of hands for comparison. 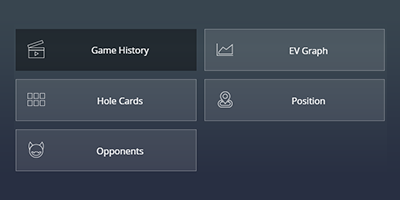 The Hole Cards tab shows a matrix of all combinations and provides you with the total net earnings for each hand you’ve played. Let’s take a look at A3o to illustrate how to use the chart. The color blue will indicate a net profit. For every time we held A3 off-suit as our hole cards, we have made a total net profit of $270.56. 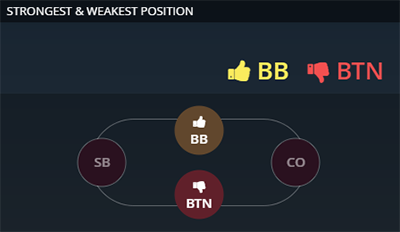 The Position tab displays your net earnings from each seat at the table allowing you to easily see your strongest positions. 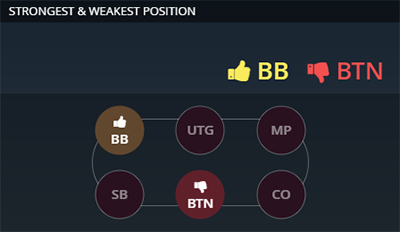 This tab shows your net earnings from each position on the table. Earnings in green indicate profit while those in red indicate a net loss. Flop % – The % of times you saw the flop. 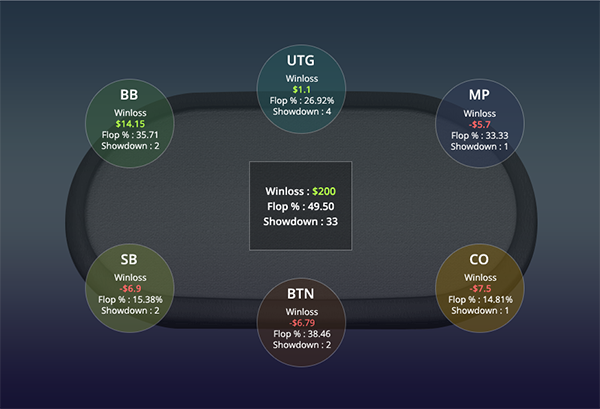 The Opponents tab displays your net earnings against opponents from the selected session to view. Red bars to the left indicate loss while blue bars to the right indicate profit. The blue bars show your net profit against the opponents you have profited from most. The red bars show your net losses against your opponents. 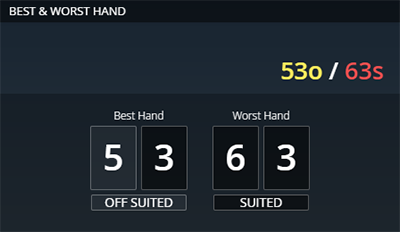 The All-In or Fold tab displays your overall stats at the All-In or Fold game. 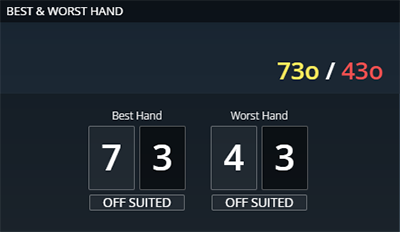 The percentage of hands where you pushed all-in. An analysis of how lucky you are relative to the theoretical outcomes of hands played. 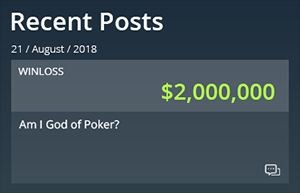 Every hand in your poker journey can be accessed and exported as a Hand Moment through PokerCraft. Hand Moments capture all the exitement of a hand in a single image that can be easily uploaded to social media.